I inadvertently pulled in front of a car on a recent day causing the other driver to apply aggressive pressure on his brakes to avoid hitting me (aka: he slammed on his brakes). I cannot say how it happened because I really never saw him. I tried to accelerate as he utilized his stopping power and by some force greater than both of us, we managed to avoid a collision (and by “we” I mean “he”). I was driving my squad car. It is unmarked but you’d know it was a squad if you saw it because it has “M” license plates signifying “municipality”. If the car alone weren’t obvious enough, you’d see the Aurora Police Department patch on my shoulder if you pulled up next to me. After I got my bearings back, I saw him coming up on my left and I knew what was about to happen because I’ve been on the other side of that scenario many times in my personal vehicle. I have mastered the disapproving glare and the head shake that says without words, “Get your head out of your…err…the clouds.” Normally I find that people who know they’ve committed the driving mistake will avoid eye contact--- the universal sign for “I’m guilty”. When he pulled up next to me to deliver the scolding, he saw my uniform and his anger went from an average intensity to outright rage. When I make an error driving, or do something to violate the law, my plight is magnified. I’m a police officer. I should know better. I’ve driven eight hour shifts over the course of 20 years (give and take the inside jobs) so I should be an expert at driving. Instead of avoiding eye contact, I rolled down my window and fell upon the proverbial sword and said “I’m so sorry – it was totally my fault.” He yelled, “You almost killed us! !” To which I replied, “I know – but thanks to your awesome thigh strength you hit that brake with vengeance!” He laughed. Whew. The truth is, I knew I screwed up and I was sorry and I spent the entire length of the red light telling him so. 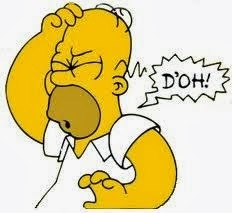 Sometimes mistakes are made by people wearing a uniform. 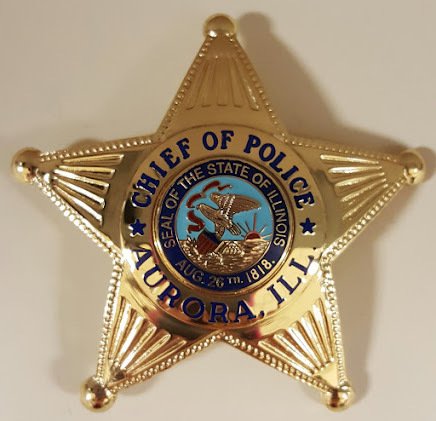 At the Aurora Police Department, I have the responsibility of recommending discipline for officers in my chain of command. The Chief has the final determination on whether to accept my recommendations and I try really hard to be even-handed and fair in every case. One thing I consider is whether the mistakes are of the head or of the heart. Mistakes of the heart are not intentional. Mistakes of the head are calculated. I have little tolerance for the latter because it is clear that the act was done knowingly and willfully. Police officers don’t have the luxury of forgiveness for those types of grave mistakes. But even in the seemingly miniscule situations, we have to be impeccable. It is a source of frustration when officers are caught talking on their cell phone or violating the same law by which we expect others to abide. Had my traffic mishap resulted in a collision, I should have been issued a citation. I am not above the law because I have a badge and carry a gun. Quite the contrary. We are human. We will make mistakes and some will be forgivable and some not. But there is no place for a willful disregard of the law. Police officers must follow the laws that we are sworn to uphold. I had a couple of lessons with them. The coach was totally prompt, and a very positive. This one time I drove from the start, navigated heavy traffic and even practiced on hills.